← Careful with cold calling Mc Bain Legal Consultancy (fake) from Nottingham. Ten associates of Palmer, once believed to be the richest criminal in Britain worth £300million, are charged in connection with his Tenerife Timeshare scam. The trial, being held in Madrid, focuses on the scam Palmer allegedly ran while serving eight years in prison, the Sunday Express reports. It is alleged he sold non-existent timeshares in holiday apartments from inside HMP Long Lartin and fleeced customers of their money. Palmer was charged with fraud, money laundering and firearms offences alongside the others in May 2015, just weeks before his assassination. The Public Prosecutor counted 205 victims of this network that Palmer ran in the Canary Islands and consisted of ” scams with the sale of timeshare apartments” between 1993 and 2002, date in which they were arrested. Darren Morris, Palmer’s nephew, said that after his uncle was jailed for eight years for fraud he continued running a timeshare business in Tenerife. Darren John Morris, who faces 12 and a half years in jail, had authorized signatures in the companies of Palmer, which he attributed to the fact that he asked him to replace him in signing documents when he was outside Spain, but without knowing what those papers were about. One of the defendants, Jacoba Klazina Visscher (Coby Visscher), who had the exclusivity of the sale of some of these timeshare packages and was the owner of a hotel in Tenerife, La Pinta, has acknowledged before the court that she deceived the clients and has committed herself to return the money. In the absence of the prosecutor specifying the final requests, Coby Visscher faces 8 years in prison as administrator of two companies that sold the vacation packages. Paul Murray, for whom the Prosecutor’s Office asks for 12 years in prison for helping to launder money for the organization, has said that he did not remember that when he declared before the judge he assured that Richard Cashman was the one leading the money transfer operation through checks for, allegedly, “white wash” the funds. 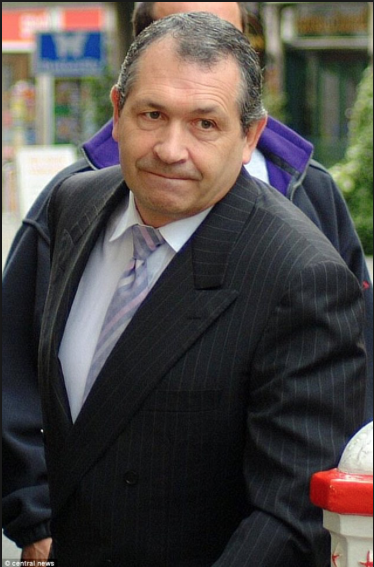 Jorge Maximiliano Gallart (faces 8 years), who was a shareholder of several companies related to Palmer, stated he was not involved in any of palmer’s businesses and has argued that he worked since 2001 for him as a Spanish liaison with the directors of the resorts. Due to these facts, the Office of the Prosecutor seeks fines of 2 million euros and jail sentences of between 8 and 12 years for crimes of conspiracy and fraud. In those cases in which he asks for more punishment, he does so by adding another crime of illegal possession of arms. We will be keeping you updated on the trial! This entry was posted in Bogus Holiday Clubs, Canary Islands, Companies closed down, Tenerife, Warnings and tagged Bogus holiday club, Christina Ketley, Darren John Morris, Dean Lawrence Wells, Fraud trial, Gold Finger, Jacoba Klazina Visscher, John Palmer, Jorge Maximiliano Gallart, Keith Peter Davies, La Pinta, Neil Campbell, Paul John Murry, Ramonon Solano Perez, Richard Cashman, Timeshare scam. Bookmark the permalink. 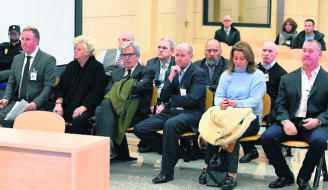 4 Responses to Fraud Trial started in Madrid against 10 associates of John “Goldfinger” Palmer. Hello I’d be very interested in finding out about the outcome of this and if I would have any recourse to recovering monies effectively stolen from me some years ago. 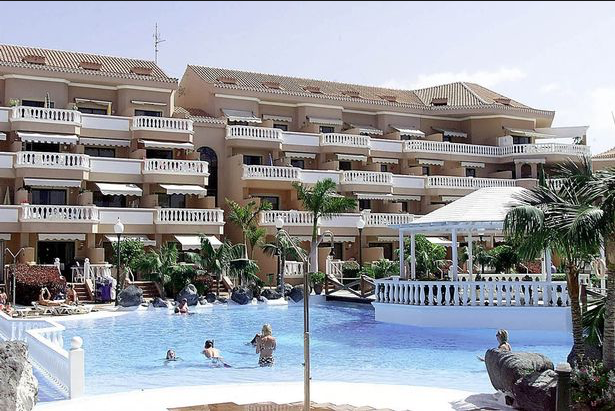 I was duped into buying timeshare in Tenerife, and have documentation with Coby Vissher’s name on it as she was part of the so-called cashback Reclaim scheme. If any assistance could be provided about a claim or a group claim, I’d be very grateful. Dear Mindtimeshare Support, I am enquiring if the John Parker that has been reported is anything to do with Standon Mortimer Associates or FULLBROOK Associate? This ring that has been exposed could be the opening to close in on these crooks. I have been posted by Club La Costa several times asking for money and I asked to Exit their timeshare and walk away but only keep saying the termination should be set up in September last year. I appreciate that there might be a cost but not £1,350 to maintenance costs and a cancelled direct debit from last year as recommended by my bank manager. I am confused as to their greed to get money we can I’ll afford as retired and limited income. We had no idea this nightmare would grow so big and feel it is so unfairly run to its members. Can you advise or give me some pointers please? Thankyou for all you have done . Hi hoping you can give me some advice. My partner and I bought a Time share in Anfi back in 2007. We have been trying to get rid of this Time Share for several years now but every time we arrange meetings with companies who claim they can help us it always turns out to be a scam. We currently have an appointment and we wondered if you could give me some advice on the company EEC. Will they be genuine or another waste of time. I was recently made redundant and can no longer afford to pay for Anfi but we don’t seem to be able to get Anfi to take this time share back as previous advised. I wood be most grateful if you could help as any way you can. Hi Muriel, we abandond our time share in los americas in 2008, we had it for 8 years and never had any trouble until we recieved a letter from them telling us that they were selling part of the complex and we would be moved to a like for like in another part of thre complex, well we had the best that there was with sea views and private parking outside our door offered was a small dark bungalow right by the kids pool, from luxury to a dump. I wrote 2 letters to them we didnot exept their change but never heared anything back. So we stopped paying maintanance fees, was told we would be taken to court, but nothing ever came of it, we just wrote off our £7000. Why I am contacting you is to ask you please do you think this is a scam, do they ask for money up front to take on yur case? Thanking you very much for helping another foolish person who got mixed up with John Palmers time share racket.